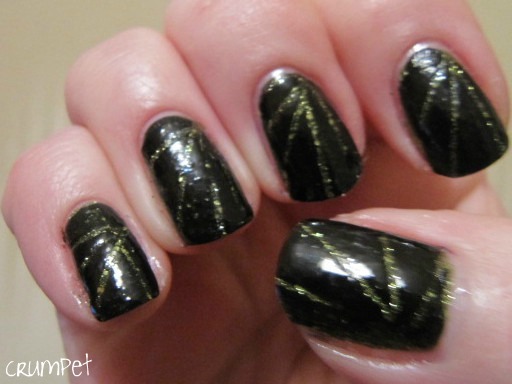 The Crumpet: A Tape Mani ?? Flippin' 'Eck! 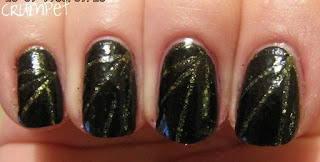 FIREWORKS WEEK – Tape Mani – eeeeeek! Well, praise be, it’s Thursday! That means tomorrow is Friday and I do like to consider Friday the official cousin of the weekend. Happy times! 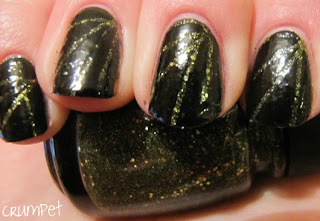 So, I have been a fan of Nailside for a while. 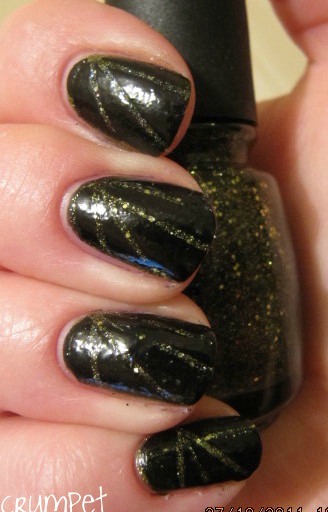 She does amazing manis, so if you don’t follow her yet, go and check her out, she will blow your mind! 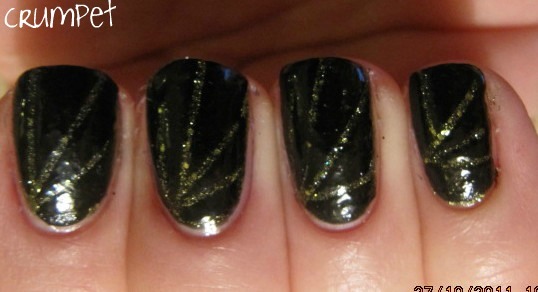 Her signature mani is what she calls Laser Nails, where she uses really thin strips of tape to create some cool designs. I tried and failed, and then someone suggested striping tape and ooooh la la, here we go! 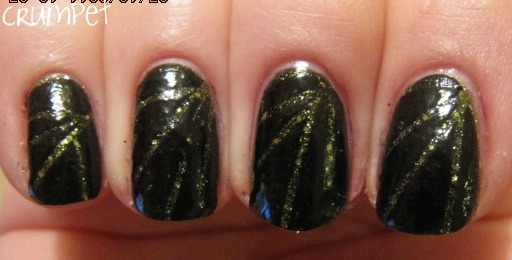 This is basic black over 2 coats of China Glaze It’s Alive, to create the green of the fireworks. It’s supposed to be one quadrant of the glitterama. The trickiest thing with the striping tape is how thin it is – there’s barely enough to get Clumsy Crumpet Fingers around. Then we had the dance of one lifting off the minute you stuck another down. Oh, how we danced! But it did look amazing when the tape came off, mainly because if how sharp and crisp the line was.